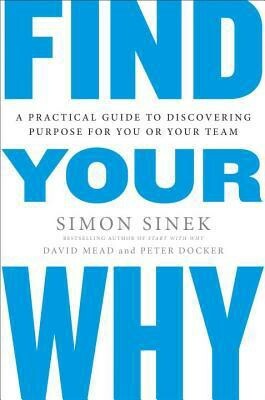 Find Your Why is written by Simon Sinek, David Mead and Peter Docker. This is the follow up book to Simon Sinek’s best-seller ‘Start With Why’. ‘Start With Why’ has the concept and value of purpose/Why at its core. ‘Find Your Why’ focuses on the steps that can be taken by individuals and organizations to figure out their purpose/Why. ‘Start With Why’ has to be read before this book or, alternatively you can watch the TEDx video that started it all here. ‘Find Your Why’ is a short practical book which is full of exercises to help people figure out their Why. Now, this book will be very useful to those who subscribe to Simon Sinek’s philosophy. For those who don’t necessarily believe in everything ‘Start With Why’ says, Find Your Why is still of value since the exercises mentioned can be used for alternate visioning and career guidance activities. I have to admit though that I found ‘Start With Why’ underwhelming since I found it to be a rehash of Maslow’s hierarchy of needs for one. In spite of that, I found Find Your Why to be a decent read and insightful. It gets a strong recommend for those looking for self help books and trainers. Needless to say, readers who liked ‘Start With Why’ have to read this book. The book is well structured. When I read the Table of Contents, I knew what I was getting. This makes it easy to understand the big picture so that you know where you are on your journey. The exercises are very well explained starting from the big picture (literally!) to getting into the details. This is an invaluable handbook for anyone who wants to conduct exercises of this sort. This is just a minor nitpick. While the exercises are indubitably invaluable, I was looking for something over and above them. This might have been a case with wrong expectations from my side.